1. Banh Mi Boys – With two central locations (Queen and Spadina; Yonge and College), this Vietnamese inspired joint is a quick walk away from your short-term rental or your go-to spot during your extended stay in Toronto. Though they’re known for their delicious banh mi, they have Vietnamese style tacos, and their infamous fusion-filled kimchi fries, which is the closest you’ll get to a replica of a Korean-style poutine. 2. Panago Pizza – For the times when you just want to stay in and relax, Panago delivers a variety of options for your tastes. If you want to pick up, there are locations close to our Midtown rentals as well as the downtown furnished rentals (300 Front Street West). 3. Fresh – Since its inception in downtown Toronto in 1999, Fresh has blazed the trail for healthy-inspired fare without the cost. With locations across the city, Fresh is close to the Republic building and the 173 Duplex in Midtown; and downtown furnished condos Toronto with locations at Spadina and Richmond and Bloor and Spadina. Large salads could easily be two meals for under $15 but the best deal here is the soup, salad and cornbread combo for $10. Whether it’s a meal or a smoothie, eat-in or take-out, you can call in advance to pre-order, as this popular spot is frequently busy. 4. Aroma – With locations across the city, including Yonge and Eglinton and King and Spadina (close to the Icon and Element locations), Aroma is your best bet for a grab and go lunch with a coffee or hot chocolate. Best bets: the salmon sandwich and chicken salad are both under $10 each. Bonus: you get little chocolate with your meal or your hot chocolate. 5. Cheesewerks – Stock up on the comfort food of gourmet grilled cheese sandwiches and homemade sodas for under $10. Sandwiches have been named after different cities that are near and dear to the owners hearts. I’m a huge fan of the Los Angeles. Eat in or take out to your furnished condo at the Icon building located at 270 Wellington Street West. 6. Sense Appeal – Known as one of the best coffee shops in Toronto, Sense Appeal now has a gourmet-inspired lunch menu for those on the go. 7. Sushi Inn – You wouldn’t expect a meal for under $15 in Yorkville, but there’s a reason this joint is always packed. You can get 6 maki and a drink/tea will keep you satisfied. Quick service and turnaround so you can get back to your furnished suite at the James Cooper Mansion at Yonge and Bloor! 8. Feel Good Guru – Another option for the health conscious and located right across the street from Trinity Bellwoods Park, you could eat facing the park or take it to go for an outdoor picnic on a leisurely sunny day. Plant powered wraps and salads average around $12. Noodles and combos average around $15. Looking for a good juice? Those liquid substitutes will fill you up for about $8. 9. Seven Lives Tacos – This Kensington Market hot-spot is the closest you’ll get to So-Cal tacos for $5 each! Fill up on the famous Garbernardor (marlin and shrimp), or the grilled octopus. Cash only. 10. Pai – Chef Nuit Regular hasn’t slowed down since her departure from Thai restaurant, Khao San Road, over two years ago. Most mains average around $14, including her famous pad thai. A short walk from your furnished suite at the Qwest building located at Richmond and Simcoe. 11. Kanga – Stock up on Australia’s national snack of miniature beef pies and its many variations at this new spot in the Entertainment district. The best part? You can buy frozen varieties of the Butter Chicken, Canadian (steak and bacon), and traditional pie to bring home to your furnished apartment in downtown Toronto, if you don’t feel like cooking! 12. Ghandi’s – Gorge on the hefty portion of the Butter Chicken Roti for about $13. A true hole in the wall at Queen and Bathurst. Call ahead to order. 13. Caplansky’s – Zane Caplansky serves up some of the best smoked meat in the city. A traditional sandwich will set you back $8. If not at College and Spadina, check Twitter for the whereabouts for t heir food truck, Thundering Thelma. 14. Swatow – Choose from over 28 varieties of noodle soups at this Chinatown institution. Recommended: shrimp dumpling soup and deep-fried salt-and-spice duck (which they call roast duck), and General Tao chicken. 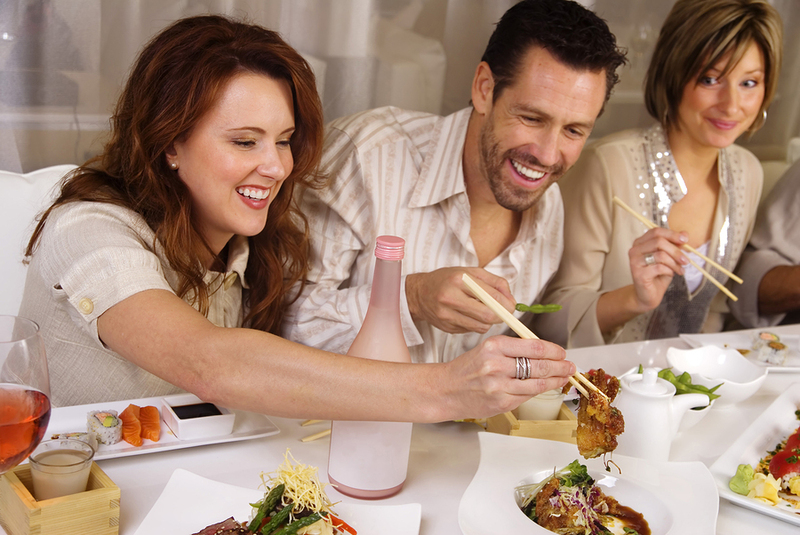 No dish is more than $10 each and if you come in a group, you can share among the different dishes. Toronto truly is a great city to eat on the cheap and with this list, you now know where to go to satisfy your tastes! Enjoy a night out during short term stay in Toronto. Now tell us, what are your top cheap eats in the city? 1. Art Gallery of Ontario – Located in central downtown, the AGO is a nice walk from your furnished apartments in Toronto. In addition to one of the largest and most coveted Canadian collections (featuring the artwork of the members of the Group of Seven) as well as interesting and provocative exhibitions, the AGO holds interactive events every month such as First Thursdays and AGO Next (for members under 40). The AGO is also a regular venue for yearly festivals like Nuit Blanche. You can visit the gallery for free, after 5pm every Wednesday. 2. MOCCA, also known as the Museum of Contemporary Canadian Art. Here you will find it tucked away just west of Shaw St. in the heart of the Queen West Art and Design District with the large mural in the parking lot as a signpost. The murals are created for the Scotiabank CONTACT Photography festival every year. Inside, find thought-provoking exhibitions in its minimalist space. It is a must-stop on your Queen West art gallery crawl. 3. Angell Art Gallery – Jamie Angell was one of the pioneers in Queen West’s art gallery development. His gallery is one of the most eponymous and sets the standard for daring and original artwork by risky artists locally. Check out the video installation in the back as you continue along Ossington and Queen Street West for art gallery, restaurant and bar pitstops. 4. 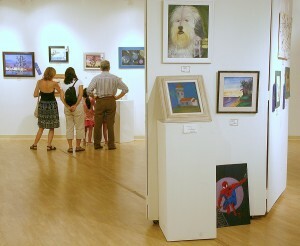 Koffler Centre of the Arts is a dynamic contemporary art gallery providing exciting exhibitions, and programs (educational and beyond). The gallery fosters new work by Canadian and international artists and for those who reside in a short term rental in Downtown Toronto. The Qwest, Element, Icon, 300 Front and James Cooper Mansion buildings are a short drive away. 5. Dadashi Gallery – Check out original oil and acrylic paintings in addition to sculptures in North York. You can buy paintings as well as furniture and rugs at this hybrid retail space. If you’re truly feeling inspired, art classes are available. 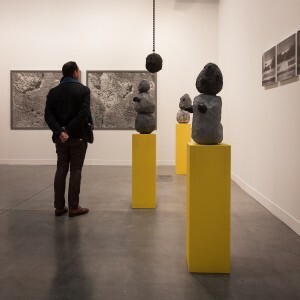 If you are staying in Toronto for an extended stay, art galleries in Toronto are a great way to check out the local culture and maybe even give you inspiration to decorate your temporary residence. Sometimes, life gets so busy that there isn’t time to grocery shop. 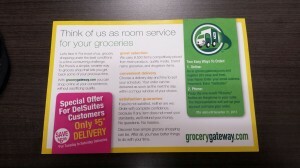 Luckily, as a guest of DelSuites, you can take advantage of our grocery delivery services via Grocery Gateway. 1. Saves you Time. If you are a busy professional and meetings take up most of your days (or nights), Grocery Gateway gives you the convenience of delivery to your executive suite. You can order items online or via phone with “DelSuites” as the password. 2. Convenience. In addition to your groceries being delivered straight to your suite, you can also choose the delivery date and time to suit your needs. Your order can be delivered as soon as the next day within a two hour window of your choice. 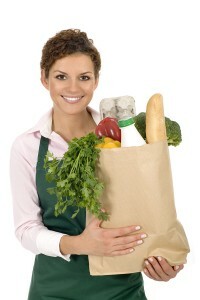 Groceries can also be delivered prior to your arrival. Win win! 3. FREE delivery on your first order. As a guest of DelSuites, the $9.95 delivery fee is waived from your first order when you enter the promo code QTDS at checkout. There are also specials on delivery fees from time to time. Please note that a minimum $45 order is required and 30% service charge added to regular purchases. 4. Healthy Options. With over 8,500 items, Grocery Gateway prides itself on giving you the choice of healthy options when you shop. Whether it’s Healthy Planet Organic Juice or environmentally friendly soap product, Method, this grocery service doesn’t skimp on quality or what on your values. Everything is also fresh when delivered to your door, and ordered directly from Longo’s supermarket the day of your delivery. 5. Satisfaction Guaranteed. If you’re not satisfied with your purchase, your money will be refunded. Whether you’re in town for vacation, or enjoying a short term rental on a business trip, DelSuites has the amenities and grocery delivery services to make you feel at home. Whether you’re a single person living about town or you’re a single individual travelling through, there’s the need to understand which are some of the best restaurants for singles in Toronto. Here are some of the best spots around whether you’re looking for a place to meet dates or just a solitary meal on a business night. Bamiyan Kabob: One of the things that can be liberating when you are travelling is to try cuisine you’ve never had before. One of the best spots about town is Bamiyan Kabob. The self-described “Best Afghani Halal Cuisine in the City” Bamiyan Kabob welcomes all comers. Not only is this place a great escape from the everyday, but they offer fresh cuisine at fair prices. What’s not to love? New Orleans Seafood & Steakhouse: Toronto might be a long ways away from the Big Easy but if you’re looking for cuisine sent straight down the Mississippi you should check out New Orleans Seafood & Steakhouse. A Toronto tradition since 2005 this place has got it all. The great thing about this place for singles is that the whole perpetuity of this space has been on pretty much word of mouth alone. See what you think! Scaramouche Restaurant: Another spot on the Toronto skyline and something of an area tradition for more than 30 years is Scaramouche Restaurant. This place has been serving up memories for all parties for many years. The fact that this is one of the great area restaurants for singles makes the impact that much more lasting. Open yourself up to the flavours and you will be wafted away from the experience. Eat Fresh: Finally if you’re really looking for like-minded restaurants for singles and you have a penchant for the healthy what better place to eat than a place called Eat Fresh? This location has got sustainable foods and a fun, always changing, always-fresh menu. Open for lunch or dinner you should come out and see what Chef Dan and company have got in store for you tonight! If you’ve been looking for restaurants for singles because you want to meet other singles or just because you don’t want to feel awkward dining alone, any of these five will do. Enjoy the experience, indulge in the cuisine and you might just find a love connection to boot! While booking your flight is easy enough, we all pay more than we’d like to. Whether you’re traveling for business or taking your family on vacation, there are some quick and easy ways to save on airfare — and it doesn’t involve cashing in your travel rewards miles. Here are four quick and easy ways to score the best deal on your next flight. Who knows, maybe you’ll even save enough to extend your vacation by a day or two! Shop Around – With travel and airline websites abound, it’s important to compare flights among multiple sites. Although travel websites will often give you what looks to be a terrific price, make sure you read the fine print for restrictions on flight schedules including days of the week and time of day. If you’re flying at 2:00 a.m. to a make a 9:00 a.m. business meeting, the money you save may not be worth it. When you’re schedule permits, take advantage of the deals on flights that airlines may offer that make booking flights well in advance worthwhile. That means, when you know you’ll be traveling to a destination within a certain time frame when discounted rates apply, then book two flights at once. Check out Social Media – Travel companies including Trip Advisor, Travelocity, Travel Alerts and nearly every airline regularly post links to discounts and other special promotions through Facebook, Twitter and other social media channels. Get in the habit of following tweets and wall posts regularly to find out when and how to get the best deals on flights. Some airlines will even provide promotional discounts for retweets on Twitter or posting to their Facebook wall. Sign Up For Alerts – Although no one wants a regular influx of email alerts going straight to their inbox, it can be worthwhile to filter travel and airline email alerts to a destination mailbox. This gives you the benefit of seeing the best deals on flights without having your inbox spammed. You can also be selective to which email alerts you sign up for, opting for the websites you don’t check as regularly rather than those you do which is another smart way to shop around for deals. Know When to Buy – You may often hear that ‘timing is everything’, and booking your flight is no different. It’s not uncommon for websites to offer discounted rates on mid-week flights. In a similar way, travelers can also score deals when booking their flights mid-week – usually, Tuesday mid-afternoon is an optimal time to strike a killer deal. With these tips in mind, we’re confident you can become a pro at snagging deals across the country! Looking for more cost saving tips? Read ‘Tips for Traveling on a Budget’ to learn more how to about having an amazing trip, without breaking the bank. As always, DelSuites is proud to offer short term rentals and executive suites in Toronto. Keep us in mind should you ever come out our way!